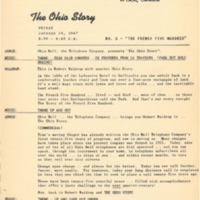 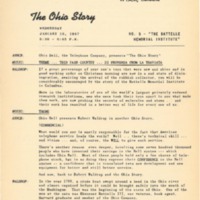 0001 - The Ohio Story: "Knowest Thou the Land?" 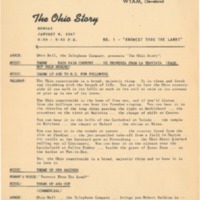 The history of Ohio has many facets and these will be explored in this program over the coming months. 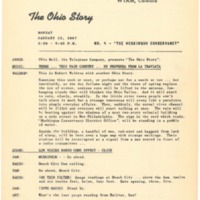 The series will look at the people, the places, the events, the institutions and more. 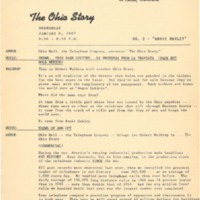 0004 - The Ohio Story: "The Muskingum Conservancy"